What a strangely profound experience to be a parent and watch the on-screen story of a teen rock idol. “Kurt Cobain: Montage of Heck” starts with his infancy and illuminates his childhood. Until now I had only experienced his life through youthful fandom. Seeing him through the eyes of his parents was the most poignant segment in a very detailed and moving documentary about his artistically fruitful, personally painful and very short life. It also explained a lot. That tortured youth thing was no joke; his parents really failed him. His vain mom had clearly been waiting to say her piece for a long time. She couldn’t wait to criticize her dweeby ex-husband’s big ears and underpants, as an explanation for why she divorced him. Young Kurt, by all accounts very sensitive and high spirited, was devastated. The mom said she took him to the doctor at age 3 because he sat in a rocking chair upside down and recited lines from “Sesame Street.” I guess I’d better get my 3-year-old an appointment ASAP. Clearly, Kurt Cobain never recovered from his desire to have a nurturing childhood home. His mom, dad and stepmother articulate how much he wanted a home, but I never heard any of them accept responsibility for their failure to give him one. Everyone complains that he was “difficult,” and passed him from home to home. The sense that nobody wanted him was one that he never shook. And you’ll never guess who his mom looks like. That would be Courtney Love. 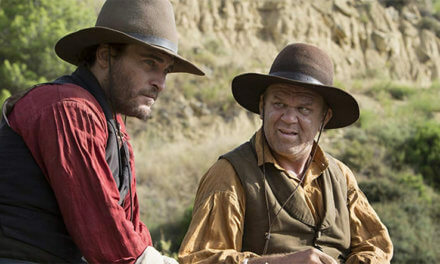 Which brings us to the second most devastating part of the film – seeing a damaged young man as a damaged young father. This film was produced by daughter Francis Bean Cobain herself, and made possible with her blessing and her mother’s, and features home videos and artwork that have never been seen before. 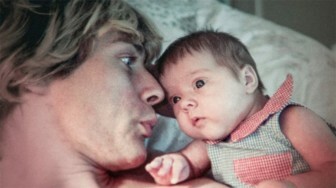 Home videos, particularly those of an inebriated Cobain with his infant daughter, are very dark and painful to watch. His artwork, meanwhile, created the perfect medium to tie the film together. As such, what is also exceptional about this film is the visual aspect, which animates Cobain’s drawings, literally, as a way of telling his story in the absence of the man himself. Many viewers will have seen the archival interviews from MTV the first time around, but the lyrical imaginings of his other artwork is fascinating and poetic and entirely new to us. It is indeed a collage, and a powerful one. What is fascinating about this, and every other, documentary, is reading between the lines; everyone participating knows they’re being recorded, and has an agenda. There is arguably no such thing, ever, as actual truth, and certainly not in a biography of a man who killed himself over 20 years ago. With the inclusion of so many of Cobain’s actual recorded and written words, this may be the closest to his “definitive” story that viewers may ever get.